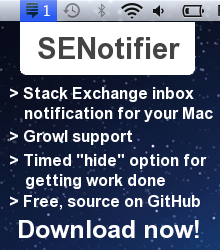 SENotifier is a Mac OS X app that shows the current contents of your Stack Exchange inbox in the menu bar and was inspired by Gmail Notifier. I created this app so the inbox notifier would be visible all the time, instead of only when a Stack Exchange page was loaded in the browser. 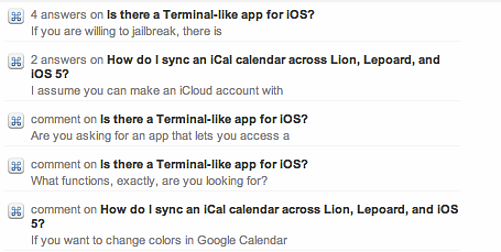 This app uses the new Stack Exchange API v2.0 with authentication, so it can get the current contents of your inbox. 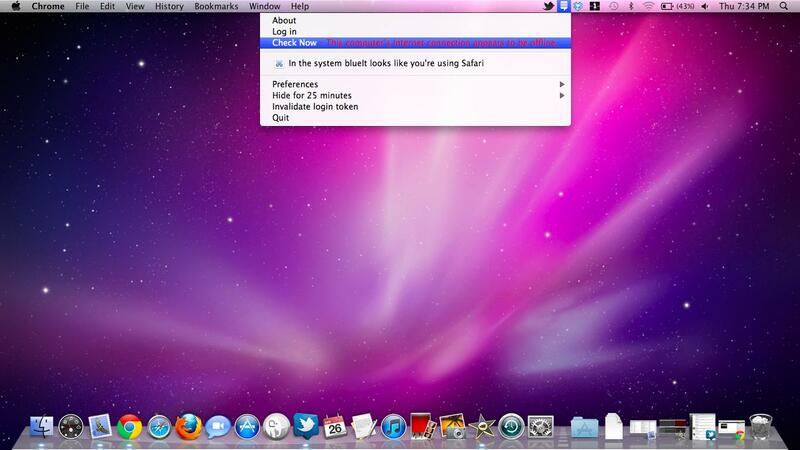 SENotifier requires Mac OS X 10.6 (Snow Leopard) or later. This app is developed in Objective-C using Xcode 4.2. No (Stack Exchange) libraries were harmed in the creation of this software (that means the authentication flow is all straight Objective-C code). SBJson is used for the JSON parsing bits. The code is available on GitHub at https://github.com/ghewgill/senotifier. I like the current logos of SENotifier, but, I was bored, and decided to have a go at making some SENotifier logos as well. And, well, here they are! Tell me if you like them, or any comments! I don't know if the pictures will keep their formatting, though. Oh well. Any way of porting this to iOS? 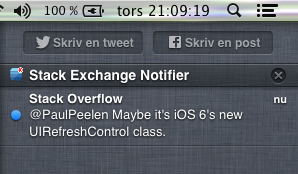 I added support for OSX Notification Center and made a pull request. I really like this too. It is great! I second @pastylegs' comment. Growl notifications would be very nice. It would be nice to have several (maybe 5 or so) read notification in the menu bar. I find myself going back to the inbox several times to go to older notifications. All in all, it's a great little tool and I encourage you to keep up the work! I suppose because it's 64-bit only but you didn't mention system requirements anywhere here. I've been recently running into a problem with SENotifier where it updates when a message is directed at me, but it always shows an old message rather than the lastest message. Er… I’m sorry, but I don’t speak robot. I know enough about computers to get by, more than most civilians, but I was wondering if you could dumb the answer to my problem a lot for me please? The SENotifier for OX was working perfectly until today, when I took my computer away from my house, and wifi. I’m not sure if disconnecting from the internet had anything to do with it, but the problem started right then. When I clicked on “login” the same “Authorizing Application” window would pop up every time, then it still wouldn’t log me in. I tried everything I could think of. I clicked ”Check for updates” several times (to no avail; it would just tell me I had the latest version installed. I ”Quit” then ”Ejected" SENotifier, then restarted the whole process again. Nothing. I ”Deleted" SENotifier from my Mac, ”ReInstalled" it, then tried everything again. Nothing. I tried the beta version, which supposedly didn’t have “the bug” that they said was causing the problem. That didn’t help either. So…give it to me straight. Am I SOL, or can you help me? If you have any idea what if wrong, please talk to me like you would a child because even though I am really good with computers, this part is difficult. This is an awesome app, great job. I'm not a Mac App Developer (not yet, anyway) so I don't know if it is possible to change that but I just wanted to let you know about that. I have forked your source code, and enabled Retina display support. I have also recreated all the icons. I have updated all the icons to make it look much better. I'd like to request that the app detects when night mode is enabled under general system preferences and switches the icon to a white color. I also created issue #26, on GitHub, for this. I've been using this and its nice. 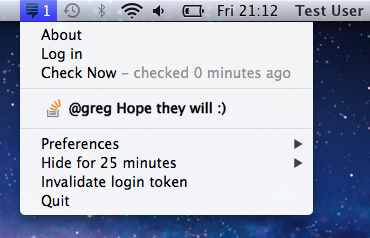 It would be great if this app could implement the new notification API in OSX mountain lion. 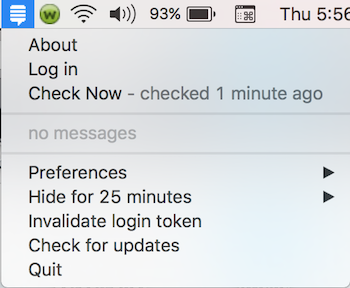 This is really nice, but it would be great if the "Log In" menu item would change text (maybe to Log Out [User Name]—presumably analogous to the current "Invalidate login token") when the app is logged in. Not currently having any unread notifications I could only assume it had logged in successfully by seeing the screenshots you'd posted here. It would be doubly nice for that item to show your current rep (your highest single SE site rep), but perhaps I'm just really finicky about checking that all the time. What does NSURLErrorDomain error -999 mean? I tried logging in manually, but it said it doesn't exist, even though it works when I log in through my browser. Update: I don't know if this will help. (Originally I was going to upload images, but I only have 1 rep, so I'll just describe it in detail). 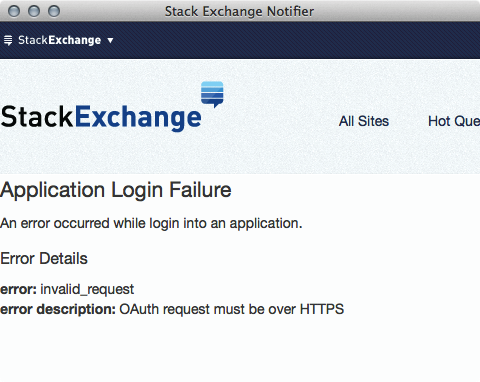 I open up the app and I get a screen similar to the SE log in web page and click on "log in with Stack Exchange"
Then the window "The operation couldn't be completed. (NSURLErrorDomain error -999.) pops up. It gives me one option, which is to click "OK". 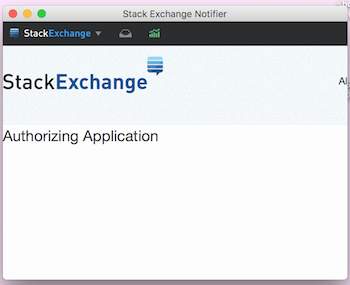 Next the Stack Exchange Notifier window says "Third Party Cookies Appear To Be Disabled", "You can continue and log in manually however." I log in manually. Stack Exchange OpenID window shows up and I log in. Then it says "Not Found", "This page could not be found." But I'm able to log in through my browser, so I don't know why it says that. It would be nice to have an option, to open the Website stackoverflow without having a notification.. I assume when you have a new notification you click on it and will be directed to the website. But when i dont have a notification, the app is useless. Also i agree with Kit Grose, that it is weird to see "Log in" as i am already logged in. Also it would be nice to give a better (self explanatory) name to the "invalidate login token". As i just installed the app, when i click on it, it seems that it does not do anything. One must directly google it to find out what it actually does. At least it would be nice to have a feedback from this action, like you see when you click "check for updates". Any thoughts on what's causing it? I've deleted and reinstalled, no luck. (And tried the invalidate token option). Right now your current for login is a Log in and a Invalidate login token (i.e. log out). There is no way for the user to tell if he/she is logged in or not right now. I find that really annoying, and wonder when not getting any messages if I am actually logged in. I hate to be "that guy", but SE notifier is not gatekeeper-compliant. Any chance of getting it code-signed? I can't get the different hide times to work. No matter what time I select, it only hides for 25 minutes. I'm on Snow Leopard. Thanks for the app, I've used it for about two years now, and it does what it is supposed to. There is just one minor bug, when I boot up my computer (OS X 10.6.8) and SENotifier automatically launches, I initially get the "This computer's internet connection appears to be offline" alert. If I just click "log in" in the popup menu it works normally. Maybe there is a timing issue, my Wi-Fi connecting hardware is perhaps slower than that of the machine you tested this on (since my computer is quite old). Anyway, it's a minor bug, I can live with it. I'm completely unable to log in on a i5 MBP running 10.10.3 - the login window disappears before I can do anything. I'm logged in to my SE account on every browser on my machine and assumed it was fetching my credentials that way, but no dice. I've reinstalled the app twice, fwiw. 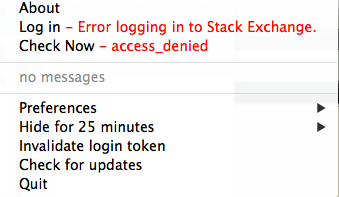 Lately I've been getting intermittent "Access denied" warning messages next to the "Check now" line. If I click on "Log in" the login window pops up, automatically logs itself in, and disappears, and everything updates. It seems like it happens about once a day -- is there some kind of 24-hour credential timeout? It would be nice if the menu icon changed color to indicate that it had gotten an error, instead of me having to click on it to see the message. This chat message occurred 20 minutes before the first crash. The problem apparently cleared up after I processed pending notifications. So maybe there's a bug regarding chat reply notifications. SENotifier already filters out notifications about edits; if it can't display chat notifications, it should filter them out as well. Not the answer you're looking for? Browse other questions tagged app inbox mac-os-x notifier systemtray . `last_editor` is missing but `last_edit_date` is present?